Join Dr. Susan Spicer and Kristin Walker as they discuss her new company Brainwave Technologies. Dr. Susan Spicer’s experience includes a richly varied background in forensic neuropsychology, clinical hypnosis, cognitive behavioral therapy, and research focused on many areas of brain structure and brain functioning. Dr. Spicer has spent decades studying the manner in which brainwave patterns impact our thoughts, feelings, and behavior, and she has extensive experience applying this research in ... See More the clinical setting. 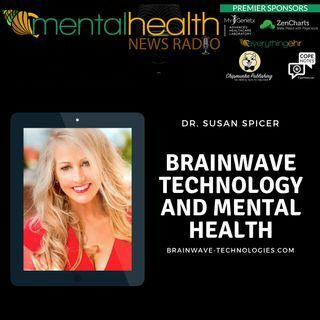 Dr. Spicer’s comprehensive education and clinical work, coupled with her talents as an accomplished musician, have culminated in the creative development of Brainwave Technologies. Dr. Spicer is a Licensed Psychologist with Psychological Affiliates, Inc., of Winter Park, Florida, a private group practice, where she specializes in forensic neuropsychology, clinical hypnosis, Eye Movement Desensitization and Reprocessing (EMDR), and therapy for trauma related disorders. She conducts neuropsychological assessments of children, teens, and adults with many diverse diagnoses including cognitive disorders, ADHD, learning disabilities, and brain injuries. Dr. Spicer has contributed to forensic evaluations in legal cases involving child abuse, divorce, and criminal matters, and has provided expert testimony in Courts throughout the state of Florida. She has television and news experience and has been featured as a psychological expert on FOX 35 News, Channel 13 News, and Wesh 2 News in Central Florida. Dr. Spicer is a member of the National Academy of Neuropsychology (NAN), the International Neuropsychological Society (INS), and the American Academy for Clinical Neuropsychology (AACN).